I love it when a plan comes together. Before a family shoot last week, I had a quick spark of inspiration for a shot at the beach. One $4 foam sword and a few hours later it all came together. I'm not sure this shot was on mom's agenda for the session, but I'm glad it was on mine. I love it. And I was darn lucky to sneak it in before we were told we weren't allowed on the rock jetty! WOW- what great composition- LOVE THIS! That is a fantastic picture! 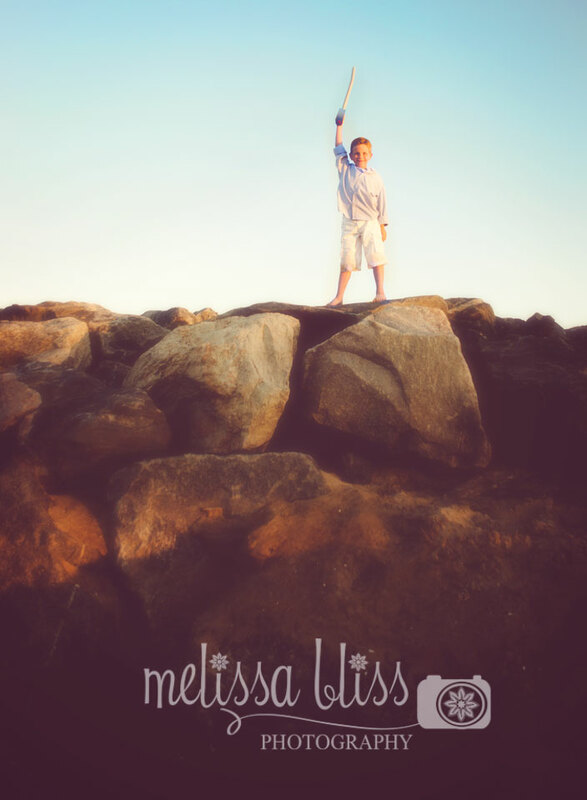 King of the world type picture with the sword in his hand and on top of the rocks.